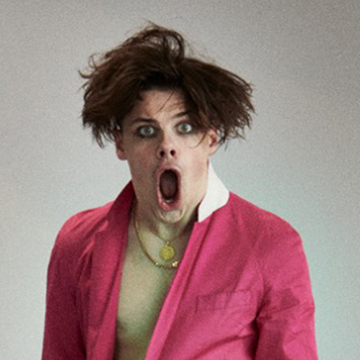 Following on from the sell-out success of his Whelans headline show tonight, Yungblud has announced his return to Dublin’s Vicar Street, 27th November. Tickets €20 on sale Thursday 7th March at 9AM. This summer, Yungblud has wowed audiences at festivals worldwide including Rock Am Ring in Germany, Splendour in the Grass in Australia, Lollapalooza in Chicago, Pukkelpop in Belgium, alongside touring the US on the last ever Vans Warped Tour. Just this weekend Yungblud hit the stage at Reading and Leeds Festival in the UK, before heading to Life is Beautiful in Las Vegas at the end of September and Austin City Limits in Texas in October. Yungblud partly credits his razor-sharp lyricism to his lifelong love of literary-minded songwriters like Bruce Springsteen and Chris Difford from Squeeze. A multi-instrumentalist who plays guitar, bass, piano, and drums, he first picked up a guitar at age two and began writing his own songs at age 10.